OpenJar Concepts, Inc. (“OJC”) is a full-service agency whose focus is on Direct-To-Consumer Advertising with an industry-leading niche of Performance Driven Media from TV, Radio, Print, and Digital. 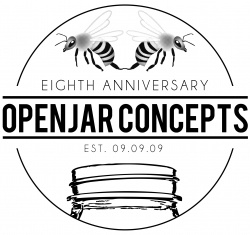 Temecula, CA, September 19, 2017 --(PR.com)-- On September 9th, 2017, the company, OpenJar Concepts, Inc. (“OJC”), who’s team members commonly refer to themselves as the “Buzzing Bees,” turned 8 years old. Made official on 09.09.09, this company that began as a consulting firm, quickly found itself launching campaigns and building a proprietary platform to engage business with a more “hands-on,” granular, level as a full-service advertising agency. Indicative of one of those great, garage startup stories, OJC started in the small home office of Adam Warren, CEO and Co-Founder and living room of Reno Renaldo, President, and Co-Founder. Why have clients and publishers chosen OpenJar? Quite frankly, there’s no single answer but rather a series of answers, solutions, relationships, and steps that have evolved throughout this company’s journey. The business was originally started as a two-person, consulting firm with intentions to teach clients and agencies the operational flow of Performance Driven Media from concept to distribution. Things changed rapidly! OJC is now a solid team comprised of a Media Department, Operations Department, in-house CTO, in-house Counsel, Advertising Sales, Finance Department and Campaign Managers. Fast forward to where the company is today. OpenJar has expanded the client experience from Lead Generation to Lead Aggregation using a proprietary system called TrafTrack®. It has gone from using Television only to Radio, Print, and Digital. Digital, after a long period of research and development, has become a prominent component of many campaigns that range from Mobile SMS to the Web and Mobile Search Click to Call as well as Programmatic. Warren states, “Even as we recognize our 8th anniversary, we are often surprised by all of the change going on around us and how it is incumbent upon us to keep up with it. We never thought we would be talking about Programmatic CPMs derived from AI (Artificial Intelligence), creating a cognitive environment through Usage Scoring that is eventually tracked to the point of the most ideal and data decided ad serving possible. We are still primary advocates of TV but we are also clear that there is an ad mix that clients should adhere to, giving themselves the greatest opportunities for diversified reach and conversion. It’s an exciting time to be celebrating business milestones and watching the industry move to advance at the speed of light.” As the company continues to push new boundaries for their clients, they are also in the midst of launching a branded abbreviated dialer program allowing for category branding or actual corporate branding within the dialed number, while combining the best of both worlds in phone calling and SMS information exchange. The company’s vision into technology as a matter of business facilitation and management tool is what led to the birth of TrafTrack. TrafTrack (“TT”) is a comprehensive tracking and reporting system which has long been the beating heart of OJC. As a basic function of the platform (now an APP in the Apple and Android stores), the system records call occurrences, which includes time and date stamps, caller ANI, zip code, state, call duration, caller duplication reports, billing and so much more. The system is also able to integrate and absorb information from nearly any data point. Once data is absorbed into the TT system, it is cataloged and formatted in a way that is consistent and downloadable in the way any other data is typically available. The system manages accounting functions, budget alerts, conversion rates, call allocations by budget, day part, days of the week and so many other functions it would be overwhelming to name them all in this statement. Looking ahead and reflecting back, Adam and Reno have concluded that the most important and consistent aspect of their entire evolving process is their resolve to deliver to each and every one of OJC’s clients, is personal service and our desire to drive the reputation of OJC as a “Can Do” business partner. The OJC team’s love of its brand, which tends to hover around themes to do with Bees and Honey, is meant to transcend the corporate image to strive to do so much more. There is a culture around this “hive” as the OJC team commonly refers to its headquarters, which is focused on “SPRITE” - satisfaction, passion, relationship, integrity, trust, and expectations. Renaldo states, “In all seriousness, I feel like we blinked through the last eight years and woke up on September 9th, 2017. As we look at what worked for us back in the early days of our launch through now, I can see reflect on how we have created several new opportunities for our advertisers that are sustainable and conversion-centric. Keeping our ear to the ground, remaining close as a family unit and continuously educating ourselves will always be the key to our relevance and our value.” Renaldo continues, “We will never compromise our service and relationship-based culture. For those reasons, we are celebrating eight years as a progressive and results driven organization. We look forward to continuing our future years by constantly providing our business partners with new and ground breaking products which only serve to enhance their respective businesses. Click here to view the list of recent Press Releases from OpenJar Concepts, Inc.